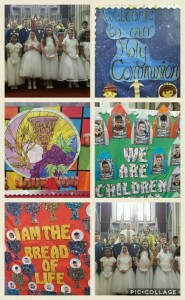 We are all very proud of our 2nd Class pupils who made their First Communion today. They all looked fantastic and the ceremony was beautiful. Many thanks to all the parents for their support. 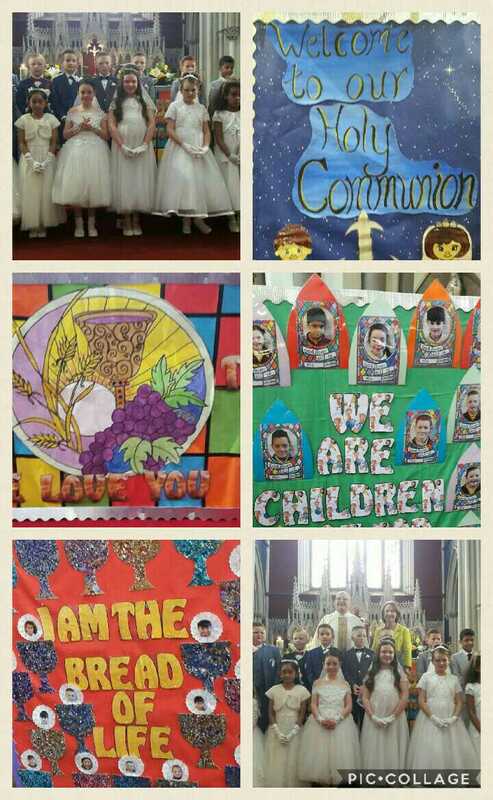 We have to say a special thank you to Ms O’Neill, Ms Berkery and Chrissie for all their hard work in preparing their classes for the sacrament, and also HUGE THANKS to Helen for her superb art work in the Church. Our choir preformed brilliantly, thanks to Mr Cronin and Ms Dodrill. Thank you also to Fr John and the parish team.